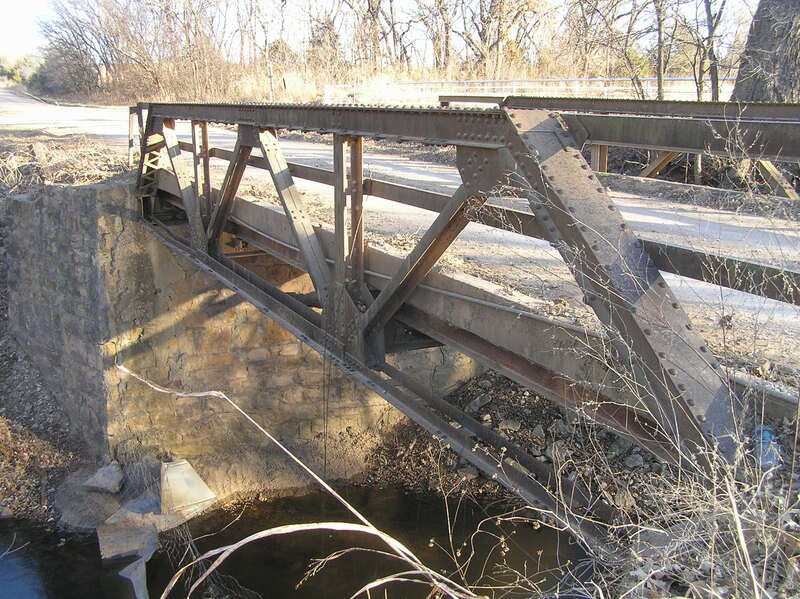 The pony truss illustrated on this page was built in 1922 by The Pioneer Construction Co., of Kansas City, Mo. The company had ties to the renowned Canton Bridge Co., of Canton Ohio. At only 40 feet, this is a rather short Warren pony truss. 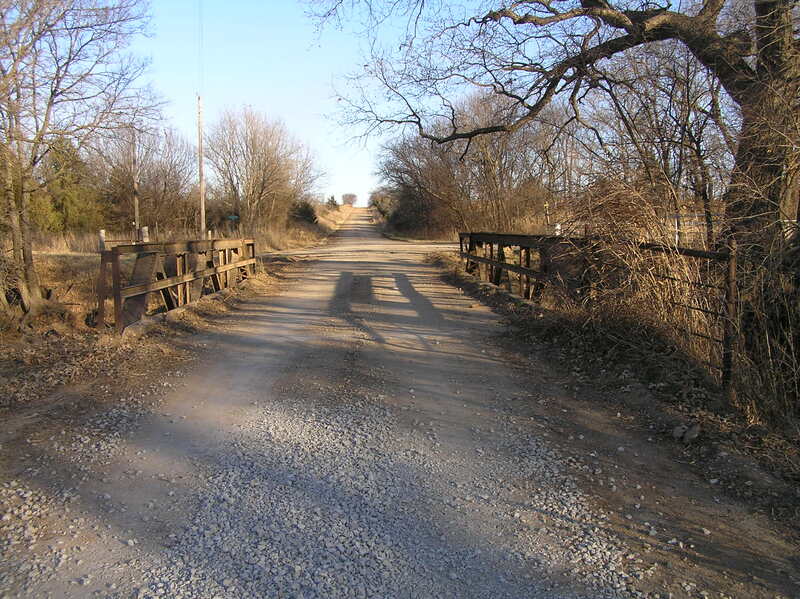 The images above and below should give an over-all idea of the bridge. 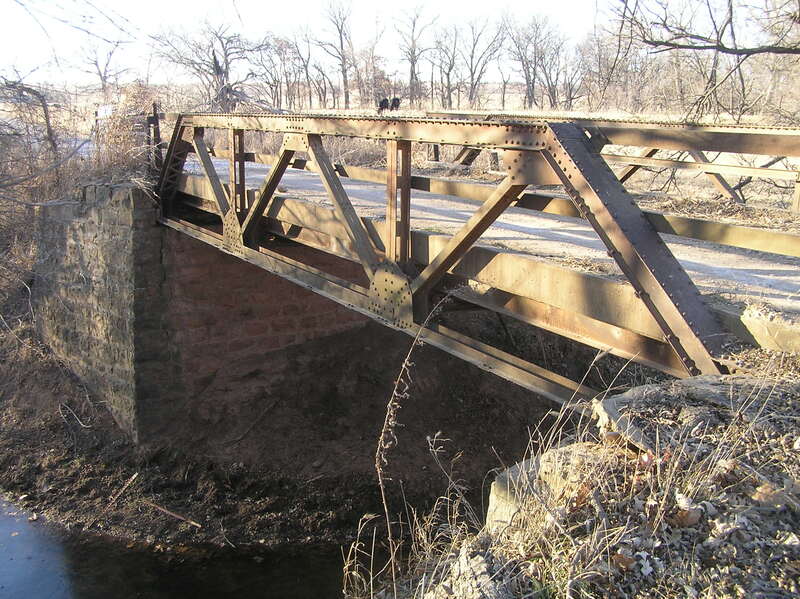 Above, a side view, showing the stone substructure upon which the bridge rests. Below, deck view of the truss. The short length of the bridge cause the rather interesting condition of having the top chord even with the top railing. In this case, the top chord actually is the top railing. 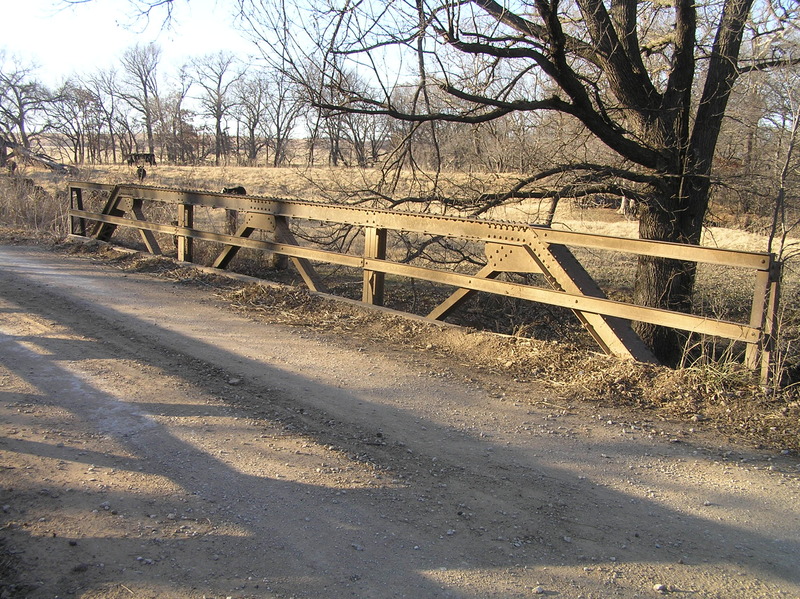 This bridge stands in good condition and once again illustrates that no bridge was too small for even the biggest firms.